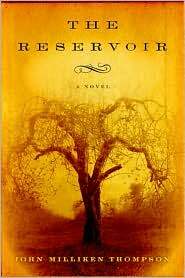 novel of lust, betrayal, justice, and revenge, The Reservoir ultimately probes the question of whether we can really know the hearts and minds of others, even of those closest to us. John Milliken Thompson is the author of America’s Historic Trails and Wildlands of the Upper South, and coauthor of The Almanac of American History. His articles have appeared in Smithsonian, the Washington Post, National Geographic Traveler, and other publications, and his short stories have been published in Louisiana Literature, South Dakota Review, and many other literary journals. He has lived in the South all his life. This is his first novel.